Evangelist Paula Hearn received a B.A. at Missouri University-St. Louis in Psychology, a Masters degree from Webster University in Leadership and Human Resources and an MBA from Lindenwood University. She’s a certified executive coach and holds professional certifications in Human Resources, Organizational Development, Training & Development, Instructional Design and Real Estate. Her passion is Human Resources, training and leadership development with emphasis in executive coaching and consulting. She has received training and certifications from Dale Carnegie, Achieve Global, Kaset International, Personnel Decisions, DDI and Foundations for Excellence along with many others. Evangelist Hearn is currently a business consultant and teaches Business, Employment Law, Human Resources Management, Organizational Behavior and Labor Relations at Lindenwood University. While corporate and college level training has been her preference and delight, she has found a new love of teaching leadership, developing strategies and conducting assessments in the religious arena. Evangelist Hearn is a lifetime member Church of God in Christ. She is a faithful and founding member of Empowered Church in St. Louis, MO under the leadership of Bishop Edwin C. Bass. She serves as the Chief Operating Officer for her church. She has a calling to under gird leaders and assist them in removing barriers that allow them to concentrate their efforts on ministry. Evangelist Hearn has worked with COGIC Urban Initiatives nearly since its inception. She currently serves in the role of Executive Vice-President for COGIC Urban Initiative; second in command to Bishop Edwin Bass, president. She is responsible for training all COGIC Urban Initiatives Jurisdictional Coordinators and for ensuring the organizational structure is sufficient. Evangelist Hearn lead the team that delivered COGIC’s sexual harassment online training program that is now required for credential holders. She is currently the Interim Director of Human Resources for COGIC. 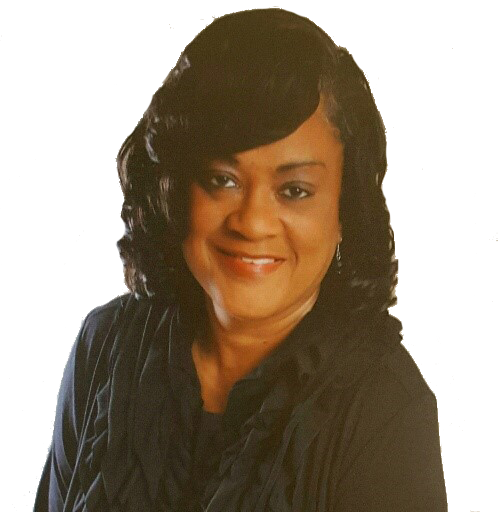 Evangelist Hearn is a results-oriented executive with a proven track record in developing, implementing and improving business processes at the site, divisional and corporate levels. She has proven strengths in meeting goals and producing bottom line results through excellent interpersonal, motivational and communication skills at all levels in an organization. She is a retired executive from Western Union with over 20 years in Executive Coaching, Organizational Development, Human Resources, Career Development, Leadership Development, Customer Service and Training. Evangelist Hearn is married to Deacon Roger Hearn and is the mother of her favorite and only son, Brandon Hearn. They have 5 highly active, fearfully and wonderfully made grandchildren. They work untiringly together to minister to their family and to the people of God. Her mission is to learn, develop and share to help others fulfill their destiny.